As we approach the end of 2012, it is our sincere hope that you have found this year’s blogs to be informative and helpful. 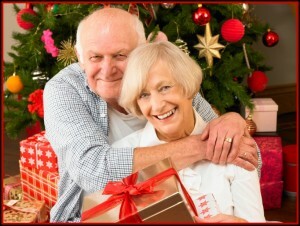 Aging-in-place is desirable and extremely beneficial to the quality of life that seniors live. We have endeavored to present information on topics that help both the senior and those of us that provide caregiving. The holiday season is here and there are so many things we can plan for and so many more we never saw coming. This season, as you spend some of those precious moments with Mom and Dad, don’t be blindsided with drastic changes in their everyday demeanor – recognize the subtle signs before the big ones have a chance to rear their ugly heads. Is Mom or Dad still staying busy with outside activities? Do they call you and/or your children by name? Is their hair completely combed, Mom’s make-up like normal or Dad completely shaven? Does Mom or Dad just seem not to be “themselves?” –Children know, trust your instincts. There are also subtle signs to be aware of too. Do they move with the same vigor you remember throughout the kitchen? Are there any unpaid bills (or bills in random places)? Is their clothing stained, wrinkled or appear worn? Is there any expired foods still being used or saved? –How expired are they? We wish you and your family peace and happiness throughout the holiday season. The safety and well-being of our loved-ones is always a concern for all of us – regardless of what time of year! If we can be of assistance in answering questions or providing caregiving services, please don’t hesitate to contact us via the web link on the right panel of this page, or give our office a call at 216.231.6400.